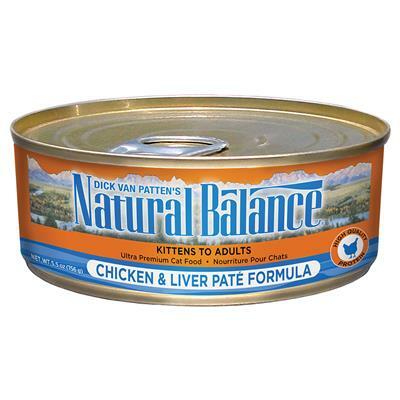 Give your kitty the nutrition he needs to thrive with the Natural Balance Ultra Premium Chicken & Liver Pate Formula Canned Cat Food. Made for kittens and adult cats, this recipe contains ultra-premium protein from chicken as the first ingredient, plus wholesome carbohydrates from brown rice to fuel all those furry adventures. Every juicy bite is loaded with vitamins, minerals, essential taurine, and omegas to support nose-to-tail well-being and a lustrous coat—not to mention the irresistible flavor that’ll have him running to his bowl every time. And since it’s made with real broth, it helps keep your kitty hydrated to support urinary health. 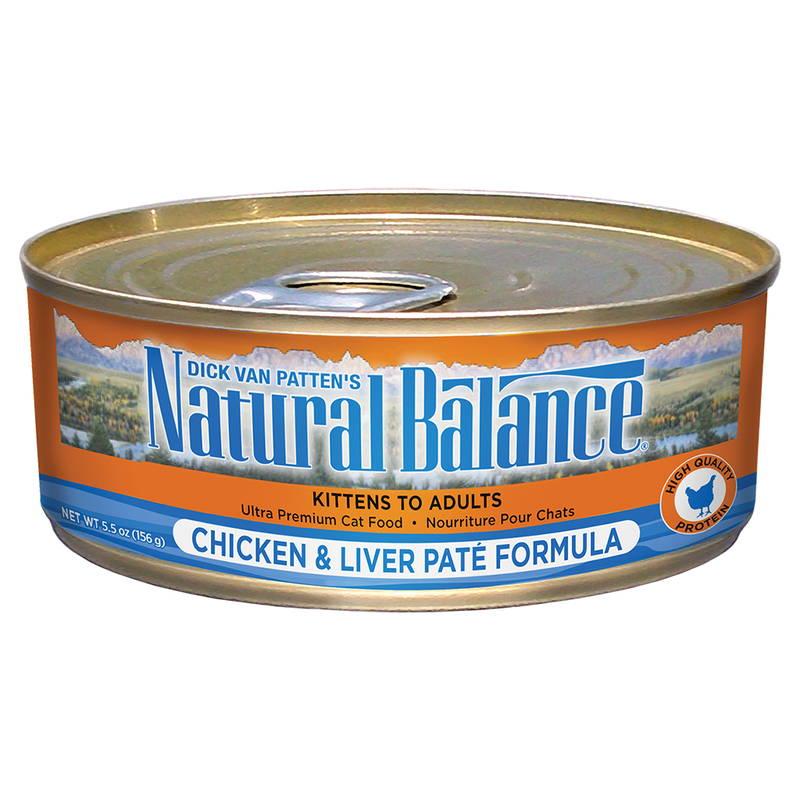 High-protein pate wet food features lean, premium-quality chicken as the top ingredient. Chicken, Chicken Broth, Chicken Liver, Brown Rice, Natural Flavor, Dried Egg Product, Carrots, Vitamins (Vitamin E Supplement, Thiamine Mononitrate, Niacin, Vitamin A Supplement, Pyridoxine Hydrochloride, D-Calcium Pantothenate, Riboflavin Supplement, Vitamin D3 Supplement, Vitamin B12 Supplement, Folic Acid, Biotin), Guar Gum, Choline Chloride, Potassium Chloride, Salt, Minerals (Zinc Proteinate, Zinc Sulfate, Ferrous Sulfate, Iron Proteinate, Copper Sulfate, Copper Proteinate, Manganese Sulfate, Manganese Proteinate, Calcium Iodate, Sodium Selenite), Taurine, Dicalcium Phosphate, Menhaden Oil (Preserved with Mixed Tocopherols), Cranberries, Carrageenan, Rosemary Extract.